I want a BMW. Sorry! – HubNut – celebrating the average! I want a BMW. Sorry! I’m hoping to do a lot more travelling this year. 4000 miles in a Sirion has made me rather keen to find something better suited to OM NOMing the miles. I have no money at the moment, and don’t need to rush into a purchase anyway. This means that I can hopefully engage brain rather than heart and actually buy a decent car, in good condition, that actually does what I want. First off, let’s look at what I want. Comfort is high on the agenda, both in terms of driving position and suspension. I need to be able to spend hours at the wheel and still be able to walk afterwards. As the car will be used on the battered, traffic-heavy roads of England, it must have suspension that cossets rather than punishes. Economy should not be too horrific, though anything higher than 30mpg on a run will be considered acceptable. There must be a decent amount of oomph, because I’m a little tired of not having any. Lots of thoroughly dull cars would meet this target. A Mk4 Vauxhall Astra diesel for instance, would probably be ideal. I even quite like the styling and Astras are very nearly built in Wales (Ellesmere Port). It’s hardly the motoring enthusiast’s choice though is it? I want efficiency, but I also want something a bit interesting. A bit fun. 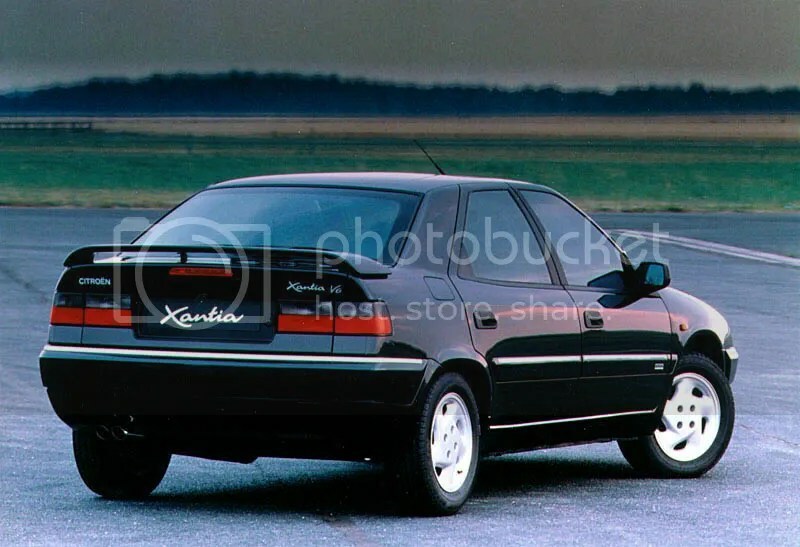 Citroen’s Xantia would seem ideal. If I didn’t fancy one of the efficient turbo diesels, I could consider achieving the dream of V6 Xantia ownership, or find one of the ever-decreasing Activas with their body-roll-cancelling suspension – the exact opposite of the 2CV. They are astonishingly attractive cars in my opinion, with sharp, Bertone lines that still look good 20 years after the model was launched. The legendary Hydropneumatic suspension may have been firmed up a touch too much, to bring it in line with competitors, but comfort is still high on the agenda. Estates are massively practical too. Certainly, the Xantia is in the running. Finding a good one might be tricky though, and possibly not cheap either. These cars already have a very strong following within Citroen circles. Rightly so. Alfa Romeo provides the next choice. I’d really like to own a 156. Because they’re this pretty. Surely one of the most attractive saloons of all time. The Sportwagon estate is far from ugly too. A V6 would be lovely – it is a peach of an engine – but the 2.4JTD diesel also appeals. Why? Because it has five cylinders, and five-pot engines sound marvellous. It is also nicely brisk yet pleasantly thrifty too. Again though, hard to find a nice one, and a bad one would be a world of pain. Naturally, things aren’t quite as easy as choosing between the above pair of beauties. I’ve even been considering Jaguar X-Types. Some bemoan the Mondeo Mk3 origins, but that Mondeo was always very well regarded by road testers, so what’s to be ashamed of? The frontal styling isn’t entirely happy, but I like the retroness of the whole thing. Naturally, this retro-desire makes a Rover 75 a possibility. I’ve already owned one, and even though it wasn’t the best example, I quite liked it. Not sure I liked it enough to get another though. Hyundai Coupe? A car I’ve always liked the look of in third generation form. Not sure comfort is high on the agenda though, even if there is a tempting V6 option. A Vauxhall Carlton would seem ideal perhaps, or maybe even a Cavalier Mk3. A Ford Mondeo Mk1 would tick many boxes, though the windscreen wipers would infuriate me. I hate it when the upper arc of the passenger wiper does not meet the driver’s wiper arc. It leaves a messy, dribble-prone triangle at the top of the windscreen. This annoyed the living wotsit out of me for the entire 40,000 miles of Peugeot 306 ownership I once completed. Sorry Mondeo, you’re out. Perhaps the most surprising car on the list is a BMW. 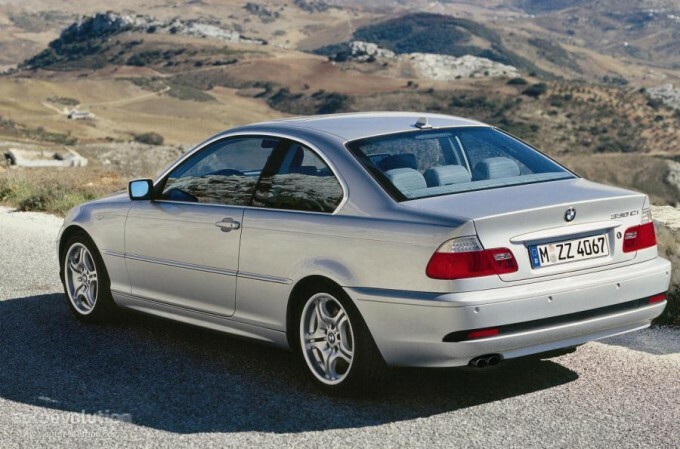 I’ve always thought the E46, or fourth-generation 3-Series, was a bit of a looker in coupe form. That is an attractive car. BMW completely lost the plot after this car. There’s not a line out of place there. Perfect simplicity. What’s more, I’ve driven a 330Ci and thought it was an amazing car. Even though this particular example had over 180,000 miles under its wheels, it felt tight and great to drive, with frankly unnecessary power and sublime smoothness. I was very annoyed that I liked it quite so much. Even better was the stereo. I’ve never heard such delicious bass response in a car. Not ‘shake-the-house’ levels, but like the engine, wonderfully smooth lower note responses that left me all of a quiver after a suitable piece of classical music was broadcast on BBC Radio 3. Quite a choice of vehicles then. How on earth am I going to decide what to buy? All I can do at the moment is think, but I will be doing plenty of that as I work out what’s available. Naturally, I reserve the right to buy something that utterly fails to resemble any of the above. That’s just me!